Draft: 2005, Chicago White Sox, 15th rd. Vernon Christopher Carter ... Traveled to Japan as part of the Japan All-Star Series following 2014 season ... Made his first career Opening Day roster with Houston (2013) ... In 2012 with Oakland, ranked third among A.L. rookies in home runs and fifth in RBI, runs scored and XBH (28) ... 2010 made his Major League debut with the Athletics (Aug. 9) ...Earned first ML hit on Sept. 20 versus the White Sox ... Named TOPPS Texas League Player of the Year for 2009, as well as TOPPS Double-A All-Star...Tabbed MiLB.com's "Best Hitter of the Year" and "Best Double-A Hitter of the Year." ... Following 2009 season was ranked as the top prospect in the A's organization by Baseball America and #28 overall ... Named the 2008 Minor League Player of the Year by Baseball America ... Drafted by the Chicago White Sox in the 15th round of the 2005 MLB June Amateur Draft...Signed by George Kachigian ... Graduated from Sierra Vista High School (NV) in 2005. Has been on a Major League Opening Day roster for the last five consecutive years. In his lone season with the Brewers, batted .222/.321/.499 (122-for-549) with 84R, 27 doubles, 1 triple, 41HR, 94RBI and 76BB in 160 games…set career highs in hits, doubles, home runs, RBI, runs scored, walks, extra-base hits (69) and games played…led the Brewers in home runs, RBI and extra-base hits…made 151 starts at 1B, committing 11E in 1,400TC (.992). Tied Colorado's Nolan Arenado for the National League lead in home runs…also tied Arenado for the NL lead in games played…led the league with a Brewers-record 206K…tied for ninth in XBHs and ranked 10th in walks. Recorded the eighth 40-homer season in Brewers franchise history, following Prince Fielder (2x-50HR in 2007, 46HR in 2009), Richie Sexson (2x-45HR in 2001, 45HR in 2003), Ryan Braun (41HR in 2012), Ben Oglivie (41HR in 1980) and Gorman Thomas (45HR in 1979). Hit 24HR at home and 29HR vs. right-handed pitchers, ranking second in the NL in both categories to Nolan Arenado (25HR at home, 32HR vs. RHP)…hit 23 solo HRs, 13 two-run HRs, 4 three-run HRs and 1 grand slam…hit 20 go-ahead or game-tying HRs, tied with Atlanta's Freddie Freeman for the NL lead. Collected four multi-HR games (all 2HR): 5/1 vs. Miami, 5/3 vs. Los Angeles-AL, 6/7 vs. Oakland, 7/8 vs. St. Louis. Tied a career high with 5RBI in 6/7 win vs. Oakland (third time, first since 8/12/14 vs. Minnesota w/ Houston). In 9/3 win at Pittsburgh, tied his career high with 4H (third time, first since 6/23/13 at Chicago-NL w/ Houston). Hit his third career grand slam in 9/17 win at Chicago-NL. Hit at least 5HR in all six full months of the season: 5HR in April, 8HR in May, 6HR in June, 5HR in July, 6HR in August, 10HR in September (also 1HR in October). His 10HR in September led the NL and were tied for second in the Majors (Detroit's Justin Upton-12)…was named Brewers Player of the Month for September/October after hitting .232/.328/.586 (23-for-99) with 19R, 2 doubles, 11HR, 23RBI and 13BB in 29 games. Was non-tendered by Milwaukee on 12/2/16. Broke out as one of MLB's top power hitters, finishing tied for second in the Majors in home runs while picking up an American League Player of the Week award in August...37 home runs were tied with OF Giancarlo Stanton, behind only OF Nelson Cruz (40) for the Major League lead...marked the most homers hit by an Astros player since 2006, when IF/OF Lance Berkman hit 45...88 RBI marked the most by an Astro since OF Carlos Lee in 2011 (94)...led the Majors and set a franchise record with seven multi-homer games...IF/OF Lance Berkman held the previous club record with six multi-homer games in 2006...prior to Carter, the last AL player with at least seven multi-homer games in a single season was OF Jose Bautista, who posted nine in 2010...set career highs in hits, homers, RBI, steals and runs...led the club in homers and RBI...led the Majors in at-bats per homer (13.70), becoming the second player in club history to do so since IF Jeff Bagwell (10.26, 400AB/39HR) during the strike-shortened 1994 season...from July 1 through the end of the season, led the Majors in home runs (24) while ranking second in RBI (58), fourth in slugging (.564) and seventh in OPS (.906)...hit .264 (72x273) in that span...hit 21 homers at home, which led all American League players...27 of his 37 homers came against right-handed pitching...hit .625 (5x8) with the bases loaded, belting two grand slams with 15 RBI and a 1.920 OPS...in 18 games against his former club, the Oakland A's, hit .281 (18x64) with seven homers, 20 RBI and a 1.085 OPS...made his second appearance on an Opening Day roster and second consecutive Opening Day start...on June 5, walked in all four of his plate appearances, becoming the first Astro with four walks in a game since IF/OF Lance Berkman on May 12, 2000, at STL...prior to Carter, the last Astros player to draw an unintentional walk in every one of his plate appearances in a single game (min. 4 PA) was OF Jimmy Wynn on Sept. 19, 1969, vs. CIN (4 BB, 4 PA's)...hit his second career walk-off homer on June 12 vs. ARI in the 10th inning...per Elias, became the first Astros player and first designated hitter ever to hit a game-ending homer one game after hitting two homers...was named the American League Player of the Week for the week of Aug. 11-17, 2014, joining LHP Dallas Keuchel as the second Astro to win the award during the season...hit .321 (9x28) with four homers, nine RBI and a 1.083 OPS (.333 OBP/.750 SLG) during the week to capture the award...led the AL in homers, RBI and total bases (21), while ranking second in slugging and tied for fourth in hits during the week...on Aug. 19 vs. NYY, hit a game-winning home run after starting the night 0x4 with four strikeouts...per Elias, no player had hit a go-ahead home run in the 9th inning or later after having previously struck out in each of four or more plate appearances that game since Toronto IF Alex Gonzalez on May 1, 2001 at OAK...led the Majors in home runs (12) and slugging (.613), and ranked second in RBI (29) in the month of August...tied a franchise record for homers in August (also IF Jeff Bagwell in 2000 and IF Ty Wigginton in 2008)...29 RBI in the month ranked second all-time in club history behind Bagwell's 34 set in 2000...had a career-high 12-game hitting streak from Aug. 31-Sept. 14...also had a career-long 19-game on-base streak from Aug. 24-Sept. 14, which was a club high for the season...marked the longest streak since OF Robbie Grossman's 19-gamer in 2013. In his first full ML season, the 26-year-old slugger set career highs in nearly every offensive category and led the Astros in HR, RBI and walks (70)...hit more HRs than any Astros player since Lance Berkman hit 29 in 2008...finished tied for 11th in the AL in HRs and eighth in at-bats per HR (17.45) ... led the club and ranked tied for fourth in MLB with three multi-HR games...recorded the first multi-HR game of his career on April 9 at SEA...the last Astro to record three multi-HR games in one season was Hunter Pence in 2008... is one of only four Astros all-time with 29+ HR in their first season with the club: also L. May (29 HR, 1972), M. Alou (38 HR, 1998) and C. Lee (32 HR, 2007)...was one of the top road hitters in the American League...ranked fourth in road RBI (57), fifth in road HR (19), sixth in road OPS (.925) and seventh in road SLG (.565)... had 24 RBI over his last 25 games away from Houston ... his mark of 4.20 pitches per plate appearance set an Astros franchise record and ranked 9th in the AL...20 of his 29 homers came against right-handed pitchers...hit .328 and ranked sixth in the AL with a .623 SLG in Interleague games this year ... feasted on NL Central pitching to the tune of a .353 average...ranked fifth in the Majors with a 1.086 OPS against the division (min. 60 PAs)...finished third on the club with 148 games played ... started 54g at 1B, 46 at DH, 41 in LF and two in RF...per Elias, marks the first time in Astros history a player has started 40+ games at three different positions ... the last MLB player to do so was B. Zobrist for TB in 2012 (59 in RF, 47 at SS, 46 at 2B)...according to PITCHf/x, saw a higher rate of sliders (23.3%) than any batter in the Major Leagues this season...on June 23 at CHC, became the first Astro to hit three doubles in one game since Mark Loretta on July 5, 2008 at ATL...according to Elias, on July 3 vs. TB became the sixth Astro ever to hit two HRs that either tied the game or put the team ahead while accounting for all of the team's runs in a victory ... hit a game-tying solo HR in the 2nd and a go-ahead, three-run HR in the 7th in Houston's 4-1 win over the Rays... the others: Bagwell (5/16/94), Biggio (4/20/97), Berkman (8/17/07), Pence (8/17/10), Maxwell (8/4/12)...hit .256 with 10 HR, 30 RBI and a .526 SLG over his last 44 games of the season. Joined the A's at the end of June and batted .239 (52x218) with 16 home runs, 39 RBI and a .514slugging percentage in 67 games with Oakland...was his third straight season where he saw time in theMajors...ranked eighth in the Majors and fourth in the American League in at-bats per home run (13.63AB/HR) during his time with the Athletics (June 29-Oct. 1)...his 16 home runs tied for fourth most in MajorLeague history by a player with fewer than 70 games played...they were second most by an Athletic toJose Canseco, who hit 17 home runs in 65 games in 1989...added 12 doubles and more than half of hishits were for extra bases (28 of 52, 53.8%)...drew 39 walks, which ranked third among American Leaguerookies...also ranked third among AL rookies in home runs and fifth in RBI, runs scored (38) and extrabase hits (28)...38 of his walks came after the All-Star Break, which ranked ninth in the AL...had 24 of his39 walks against lefties for a .404 on-base percentage...hit 11 of his 16 home runs on the road...started51 games at first base, which tied for the team-lead, and also made eight starts at designated hitter...hit.300 (9x30) with two doubles, three home runs and six RBI as the DH...was 1-for-4 (.250) with a home run,four RBI and two walks as a pinch hitter...tied for sixth among AL pinch hitters in RBI...was recalled fromSacramento June 29 and homered in each of his first two games and three of his first four, including July6 against Seattle when he hit the pinch-hit game-ending three-run home run in the 11th inning...became the first rookie in Athletics history with a pinch-hit "walk-off" home run...was the 10th player in Oaklandhistory with a pinch-hit game-ending home run...was the first Athletic with a pinch-hit "walk-off" homerun in extra innings since Paul Lehner on April 22, 1950 against Boston...homered in back-to-back gamesa second time July 14-15 at MIN, giving him a .346 batting average, 10 runs, five home runs and nine RBIin his first nine games...had a career-high tying six-game hitting streak from July 27-Aug. 1...went 7x22(.318) with two home runs, five RBI and five walks during the streak...made just one error over his final 32games at first...drove in a run in six consecutive games from Aug. 25-Sept. 1...homered four times overan eight-game span from Aug. 25-Sept. 3...was on the A's roster for the ALDS against Detroit but did notappear in a game...batted .279 with 12 home runs and 53 RBI in 72 games with Triple A Sacramento beforehis promotion to Oakland...hit .296 (58x196) with 10 of his 12 home runs against right-handed pitching...appeared exclusively at first base on defense where he played 47 games. Spent most of the season with Triple-A Sacramento...batted .136 with no extra base hits and no RBI in15 games in two stints with Oakland...struck out 20 times in 46 plate appearances with the A's...went5-for-24 (.208) against right-handed pitching and just 1-for-20 (.050) against left-handers...was 0-for-7 with runners in scoring position and is now 1-for-21 (.048) with RISP in his career...went 5-for-22(.227) against a pitcher the first time he saw him in a game, 1-for-22 (.045) after that...his career splitsare .233 (14 for 60) and .093 (5 for 54) respectively...appeared in 11 games, including nine starts, atfirst base...also went 2-for-13 (.154) in four starts at designated hitter...was 0-for-1 as a pinch hitter...was recalled for the first time June 23 and made his first Major League appearance at first base that dayat New York (NL)...went 4-for-16 (.250) over his first five games, then went 0-for-14 over his next fivecontests...was batting .133 in 10 games overall when he was optioned to Sacramento July 15...returnedto Oakland Sept. 17 following the conclusion of the River Cats season and went 2 for 14 (.143) in fivegames...singled in the ninth inning Sept. 25 at Los Angeles to snap a 0-for-22 streak...struck out 14times during the streak...began his career 0-for-33, went 17 for his next 52 (.327) and is now 2 for hislast 29 (.069). SACRAMENTO: Batted .274 with 18 home runs and 72 RBI in 75 games with the River Cats...finishedsecond on the club in RBI...added 18 doubles and two triples for a .530 slugging percentage...his 42 walks contributed to a .366 on-base percentage...also hit three home runs during a six-gamerehab assignment with Single-A Stockton...had 21 minor league home runs overall...it marked his fifthconsecutive season with 20 or more home runs...ranked third in the A's farm system in home runs, RBI(79) and slugging percentage (.544)...with Sacramento, hit .286 (61 for 213) with 14 of his 18 homeruns against right-handed pitching, compared to .241 (20 for 83) against left-handers...11 of his homeruns came with runners on base...batted .235 before the All-Star Break, .289 after the break...hit .311with runners in scoring position...appeared in 49 games at first base, seven in left field and three at thirdbase...also hit .246 in 18 games at designated hitter...saw his most playing time batting fourth with42 games...hit .107 over his first eight games...then went 3-for-5 with his first home run and five RBIApril 15 at Tacoma...was batting .173 with two home runs and 13 RBI in 14 games when he was placedon the disabled list April 22 with a sprained left wrist...went 8-for-24 (.333) with three home runs and seven RBI during a six-game rehab assignment with Stockton June 6-12...returned to Sacramento June13 and had his first two-homer game of the season the next day at Salt Lake City...was batting .235 withfive home runs and 21 RBI in 23 games overall when he was promoted to Oakland June 23...rejoinedthe River Cats July 15 and went 6-for-42 (.143) over his first 10 games...then went 4-for-6 against RenoJuly 4...hit .354 (17 for 48) over a 12-game span from Aug. 14-25...drove in a run in seven consecutivegames from Aug. 19-25 (17 RBI total)...had his second two-homer game of the season Aug. 22 atTucson...drove in four runs that day and had four RBI the next day, also at Tucson...finished Augustwith seven home runs and 28 RBI in 29 games...then went 14-for-28 (.500) with 10 runs scored, fivedoubles, two home runs, nine RBI and five multiple-hit games in five September games...was 5-for-5with three runs, a double, home run and a season-high six RBI at Colorado Springs Sept. 3... hit .370(10-for-27) with nine runs, eight walks, four home runs and nine RBI in eight postseason games...including postseason, he batted .349 (37 for 106) with 32 runs, 10 doubles, 11 home runs and 39 RBIover his final 26 minor league games. The A's two-time Organizational Player of the Year made his Major League debut in 2010...after settingan Oakland record for consecutive hitless at bats to start a career (0-for-33), went 13 for 38 (.342)with three home runs and seven RBI over his final 13 games...batted .186 in 24 games overall duringtwo stints with Oakland...hit .389 in Oakland and .115 on the road...was 1 for 14 (.071) with runners inscoring position...made 22 starts in left field and one at designated hitter...also flew out in one pinch hittingappearance...was recalled from Sacramento Aug. 9 and made his ML debut that night at Seattle...started in left field and went 0 for 3 with two strikeouts...started each of his first six games with theA's in left field and went 0 for 19 with nine strikeouts before he was optioned back to Sacramento Aug.16...struck out in each of those six games to match the Oakland record for consecutive games with astrikeout to start a career (Travis Buck, 2007; Brooks Conrad, 2008)...returned to Oakland Sept. 14 followingthe conclusion of Sacramento's season...extended his career opening hitless streak to 33 at batsbefore singling off Scott Linebrink to lead off the seventh inning Sept. 20 against Chicago...it broke theOakland record of 25 consecutive hitless at bats to start a career (set by Bill McNulty July 9, 1969-Sept.30, 1972) and was the longest in the majors by a non-pitcher since Vic Harris had a 0-for-36 streak withTexas in 1972...it was the sixth longest hitless streak in Oakland history and was the longest since JoseCanseco set the record with a 0-for-40 streak in 1986 (Aug. 8-23)...hit safely in all six of his games inthe Coliseum, including Sept. 22 against Chicago when he belted his first Major League home run, asolo shot off Edwin Jackson in the third inning...extended his road hitless streak to an Oakland-record38 at bats before singling in the fifth inning Sept. 29 at Los Angeles...broke the previous mark of 34 byJermaine Dye in 2003...homered twice in the season-ending four-game series at Seattle, going 5 for 12(.417) with five RBI and three walks...was named the A's second best prospect by Baseball Americafollowing the season...was also tabbed as the Best Power Hitter in the A's organization in the magazines'Best Tools survey for prospects following the 2010 season. SACRAMENTO: Batted .258 with 31 home runs and 94 RBI in 125 games with Sacramento...thebatting average was the lowest mark of his career but the home runs were second best...has at least 25home runs and 93 RBI in each of his last four seasons...was named to the Pacific Coast League PostseasonAll-Star Team as an outfielder after ranking fourth in the league in home runs and fifth in RBI, runs scored (92) and walks (73)...was third in strikeouts (138)...his 31 home runs tied for ninth in all ofminor league baseball...was also named to the Topps/Minor League Baseball Triple-A All-Star team...led the A's farm system in home runs and ranked second in RBI...led Sacramento in doubles (29), homeruns, RBI, total bases (246) and strikeouts, and ranked second in runs, walks and hit by pitches (8)...hit.294 (37 for 126) against left-handed pitching, .245 (83 for 339) against right-handers...batted .224 athome, .291 on the road...combined for a .233 batting average, 15 home runs and 54 RBI in 77 gamesover the first three months of the season but hit .298 with 16 home runs and 40 RBI in 48 games fromJuly 1 through the end of the season...appeared in 96 games at first base, 23 in left field and five in rightfield but made 19 of his last 24 appearances in left...hit .229 with 15 home runs in 61 games battingthird while hitting .293 with 15 home runs in 58 games batting cleanup...also hit fifth five times andsixth once...batted .284 over his first 19 games through April 29...that included a season-high four-walkgame April 27 at Las Vegas...then hit .217 over a 73-game stretch from April 30 to July 18...had his firstof three two-homer games May 9 against Colorado Springs and also drove in a season-high six runs...connected for his second two-homer game May 31 at Reno...reached base safely via hit or walk in 29consecutive games from July 1 to Aug. 1...batted .306 with nine home runs, 22 RBI and a .421 on-basepercentage over that span...had two four-hit games over an eight-game span in late July...went 4 for 6with two home runs and three RBI July 19 at Colorado Springs and 4 for 5 with two doubles and twoRBI July 26 at Tacoma...the game on the 19th started a 21-game stretch where he batted .397 with eighthome runs and 24 RBI through Aug. 8, earning his first promotion to Oakland Aug. 9...drove in a runin six consecutive games from Aug. 3-8 (13 RBI total)...went 9 for 41 (.220) with four home runs andfive RBI in 12 games following his option back to Sacramento Aug. 16 before going on the disabled listAug. 28 with a sprained left thumb...missed the remainder of the regular season but was reinstated fromthe DL Sept. 8 and went 1 for 5 (.200) with a home run, RBI and two walks in two postseason gamesagainst Tacoma...was ranked 28th on Baseball America's Top 100 Prospects List prior to the start ofthe season. Was named the A's Organizational Player of the Year for the second consecutive season after battinga combined .329 with 28 home runs and 115 RBI in 138 games with Double-A Midland and Triple-ASacramento...was also named Texas League Player of the Year after hitting .337 with 24 home runs and101 RBI in 125 games with Double-A Midland...led all of Minor League Baseball with 179 hits and tiedfor the lead with 310 total bases...was named to the Baseball America Minor League All-Star Team andwas also listed as the A's top prospect by the magazine following the season...also ranked second in theminors in RBI, tied for second in extra base hits (73), third in runs scored (115), tied for third in sacrificeflies (11), tied for eighth in doubles (43), tied for 10th in slugging (.570), 11th in on-base percentage(.422) and tied for 11th in home runs and walks (85)...led the Texas League in runs (108), doubles (41),walks (82), on-base percentage (.435), slugging percentage (.576), extra base hits (67) and total bases(282), tied for the lead in sacrifice flies (10), ranked second in batting, home runs and hits (165) and thirdin RBI and strikeouts (119)...was also named to the TL Midseason and Postseason All-Star Teams...hadcareer highs in batting, games, at bats (544), runs, hits, doubles, RBI, walks, stolen bases (13), sluggingand on-base percentage...led the A's farm system in runs, hits, doubles, RBI, walks, slugging percentage,extra base hits and total bases and ranked second in batting, home runs and on-base percentage...batted .352 (43 for 122) against left-handed pitching and .322 (136 for 422) with 24 of his 28 homeruns against right-handers...was hitting .302 with 13 home runs and 59 RBI in 76 games before theDouble-A All-Star Break and then hit .392 with 11 home runs and 42 RBI in 49 games for Midland afterthe break and before his promotion to Sacramento...hit .296 in April, .288 in May, .324 in June, .365in July and .398 in August...batted .338 at night and .265 during the day...slammed 10 of his 28 homeruns in the first inning...hit .396 when leading off an inning...his average slipped to .317 with runnersin scoring position and he was 3 for 14 (.214) with the bases loaded...had a .338 average in 102 gamesbatting third...also batted fourth 24 times, fifth 10 times and sixth twice...led TL first basemen with a.993 fielding percentage and 107 double plays in 105 games...including his time with Sacramento, heappeared in 112 games at first base, nine in left field, five in right field and one at third base...also hit.459 (28 for 61) with six home runs and 18 RBI in 16 games at designated hitter...was named the bestbatting prospect, best power prospect and third best prospect overall in the Texas League by BaseballAmerica...was ranked #76 on the magazine's Top 100 Prospects list prior to the season. Was named the A's Organizational Player of the Year and the A's Minor League Player of theYear by Baseball America after batting .259 with 39 home runs and 104 RBI in 137 games with Single-AStockton...his home runs tied for second most in all of minor league baseball to Albuquerque's DallasMcPherson (42)...led all minor leaguers with 75 extra base hits and 288 total bases, tied for fourth inruns (101) and was 12th in RBI...led the California League in games, runs, home runs, RBI, sluggingpercentage (.569), extra base hits, total bases and strikeouts (156) and ranked third in walks (77)...wasvoted California League Rookie of the Year and was named to the CL postseason All-Star Team...wasalso named to Baseball America's High Class-A All-Star team...topped the A's farm system in runs,home runs, slugging percentage, extra base hits and total bases, ranked second in RBI and walks, fourthin doubles (32), ninth in on-base percentage (.361) and 10th in hits (131)...was named the A's sixth bestprospect by Baseball America following the season and was also tabbed as the A's Best Power Hitter inthe magazine's Best Tools survey...hit .254 against left-handed pitching and .261 against right-handers...appeared in 46 games at designated hitter, 41 at first base, 41 at third base and 14 in right field...committed 25 errors, including 14 as a third baseman (.846 fielding percentage), 10 at first base (.974)and one in right field (.909)...saw his most action with 108 games batting clean-up...received his firstof three CL Player of the Week honors for the week of April 14-20 when he hit .375 (9 for 24) with fivehome runs, 14 RBI, nine runs scored and six walks...was 3 for 4 with three home runs, six RBI, five runsscored and two walks April 19 at Rancho Cucamonga...it was his first of four multi-homer games...alsohomered twice June 4 and July 9 at Bakersfield and June 19 at High Desert...had 11 home runs and 29RBI in 53 games through the end of May but then hit .319 with nine home runs and 28 RBI in 26 gamesin June...had back-to-back four RBI games June 19 and 20 at High Desert and was named CL Player ofthe Week, June 16-22, after batting .360 (9 for 25) with five home runs and 11 RBI...batted .298 witheight home runs and 27 RBI in 28 games in July...had a grand slam and a season high tying six RBI July13 against San Jose...homered in four consecutive games from Aug. 7-10 and was named CL Player ofthe Week, Aug. 4-10, after batting .476 (10 for 21) with five home runs and 11 RBI...had three doublesAug. 24 at Visalia...finished August with 11 home runs, 20 RBI and 42 strikeouts in 29 games...hit .318(14 for 44) with 11 runs, three doubles, a triple, five home runs, 18 RBI and nine walks (.431 on-basepercentage) in 12 postseason games to lead Stockton to the California League Championship...thenplayed for North Shore Honu in the Hawaii Winter Baseball League and batted .228 with two home runsand seven RBI in 23 games...added 17 walks for a .386 on-base percentage. Spent the entire season at Single-A Kannapolis in the Chicago White Sox organization and batted.291 with 25 home runs and 93 RBI in 126 games...was named to the South Atlantic League postseasonAll-Star Team after finishing third in the league in home runs and tying for third in RBI...was alsonamed a Low Class-A All-Star by Baseball America...tied for the lead in the White Sox farm systemin home runs and RBI...led Kannapolis in home runs, walks (67) and slugging percentage (.522) andtied for the team lead in runs (84) and RBI...batted .341 against left-handed pitching and .271 againstright-handers...hit .305 with runners in scoring position and .358 at home...appeared exclusively at firstbase on defense where he played 73 games...had 13 home runs in 78 games batting clean-up and 12 home runs in 48 games hitting third...hit safely in a season best 16 consecutive games from April 28to May 14...batted .409 during the streak with nine doubles, two triples, five home runs and 15 RBI...had his first of two two-homer games May 19 against Lexington...hit .336 with eight home runs and 29RBI in 30 games in May...added 21 walks for a .440 on-base percentage...was 4 for 5 with two homeruns, four RBI, a walk and five runs scored June 16 against Greensboro...started at designated hitterfor the South All-Stars in the SAL All-Star Game and was 0 for 2 with a walk...was traded twice overa 12-day span in December...was dealt by Chicago to Arizona Dec. 3 for outfielder Carlos Quentin andwas one of six players the Diamondbacks sent to the A's Dec. 14 in the Dan Haren trade...was rated byBaseball America as the eighth best prospect in the Arizona organization before the trade and the 10thbest prospect in the A's system following the deal. Began the season at Single-A Kannapolis of the South Atlantic League and hit .130 with a homerun and five RBI in 13 games before he was sent to extended spring training April 28...joined GreatFalls of the Pioneer Rookie League when its season opened in June and hit .299 with 15 home runsand 59 RBI in 69 games...combined for a .273 batting average, 16 home runs and 64 RBI in 82 gamesoverall...was named to the PL postseason All-Star Team after leading the league in home runs and extrabase hits (37), tying for the lead in total bases (143) and intentional walks (5), ranking second in sluggingpercentage (.570), third in RBI and fifth in doubles (21)...was named a Rookie League All-Star byBaseball America...appeared in a league leading 62 games at first base and also led PL first basemenin total chances (603), putouts (558), errors (16) and double plays (62)...was named PL Player of theWeek the first week of the season, June 19-25, after batting .545 with three home runs and nine RBI insix games...capped the week by going 4 for 4 with four RBI June 25 against Missoula...hit .307 withseven home runs and 16 RBI in 28 games in July...had a grand slam and a season high five RBI Aug.1 at Missoula...was named the 10th best prospect in the White Sox organization by Baseball Americafollowing the season. Made his professional debut at Bristol of the Rookie Appalachian League and hit .283 with 10home runs and 37 RBI in 65 games...led his team in games, home runs, slugging (.485) and strikeouts(64) and ranked second in RBI...batted .302 with nine of his 10 home runs and 35 of his 37 RBI againstright-handed pitching compared to .222 against left-handers...appeared in 38 games at third base, 20 atfirst base and one at shortstop...hit his first professional home run June 26 at Kingsport...went 3 for 5with two home runs, five RBI and four runs scored Aug. 9 at Johnson City. 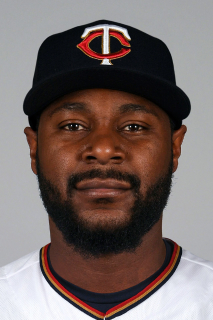 April 3, 2019 Acereros del Norte signed free agent 1B Chris Carter. July 7, 2018 Rochester Red Wings released 1B Chris Carter. May 22, 2018 Los Angeles Angels traded 1B Chris Carter to Minnesota Twins for cash. May 22, 2018 1B Chris Carter assigned to Rochester Red Wings. February 18, 2018 Los Angeles Angels signed free agent 1B Chris Carter to a minor league contract and invited him to spring training. February 18, 2018 1B Chris Carter assigned to Salt Lake Bees. November 6, 2017 1B Chris Carter elected free agency. July 21, 2017 Oakland Athletics signed free agent 1B Chris Carter to a minor league contract. July 21, 2017 1B Chris Carter assigned to Nashville Sounds. July 10, 2017 New York Yankees released 1B Chris Carter. July 5, 2017 New York Yankees designated 1B Chris Carter for assignment. June 29, 2017 New York Yankees selected the contract of 1B Chris Carter from Scranton/Wilkes-Barre RailRiders. June 28, 2017 New York Yankees sent 1B Chris Carter outright to Scranton/Wilkes-Barre RailRiders. June 24, 2017 New York Yankees designated 1B Chris Carter for assignment. February 16, 2017 New York Yankees signed free agent 1B Chris Carter. December 2, 2016 1B Chris Carter elected free agency. November 29, 2016 Milwaukee Brewers designated 1B Chris Carter for assignment. January 6, 2016 Milwaukee Brewers signed free agent 1B Chris Carter. December 2, 2015 1B Chris Carter elected free agency. February 4, 2013 Houston Astros traded SS Jed Lowrie and RHP Fernando Rodriguez to Oakland Athletics for 1B Chris Carter, RHP Brad Peacock and C Max Stassi. June 29, 2012 Oakland Athletics recalled 1B Chris Carter from Sacramento River Cats. March 18, 2012 Oakland Athletics optioned Chris Carter to Sacramento River Cats. October 12, 2011 1B Chris Carter assigned to Tiburones de La Guaira. September 17, 2011 Oakland Athletics recalled Chris Carter from Sacramento River Cats. July 15, 2011 Oakland Athletics optioned Chris Carter to Sacramento River Cats. June 23, 2011 Oakland Athletics recalled Chris Carter from Sacramento River Cats. June 23, 2011 Chris Carter roster status changed by Oakland Athletics. June 13, 2011 Chris Carter roster status changed by Sacramento River Cats. June 6, 2011 sent LF Chris Carter on a rehab assignment to Stockton Ports. March 25, 2011 Oakland Athletics optioned LF Chris Carter to Sacramento River Cats. October 8, 2010 LF Chris Carter assigned to Tiburones de La Guaira. September 14, 2010 Oakland Athletics recalled Chris Carter from Sacramento River Cats. September 8, 2010 Chris Carter roster status changed by Sacramento River Cats. August 16, 2010 Oakland Athletics optioned LF Chris Carter to Sacramento River Cats. August 9, 2010 Oakland Athletics recalled Chris Carter from Sacramento River Cats. March 27, 2010 Oakland Athletics optioned Chris Carter to Sacramento River Cats. November 20, 2009 Oakland Athletics selected the contract of Chris Carter from Sacramento River Cats. October 6, 2009 1B Chris Carter assigned to Algodoneros de Guasave. August 26, 2009 Chris Carter assigned to Sacramento River Cats from Midland RockHounds.